Friday, October 26th, 2018 at 1:39pm. Families in Southeast Florida include family, friends and pets, especially our four-legged fury friends. Fido may love playing in the water just as we do. Deerfield Beach borders the Atlantic Ocean in Broward County and known for its immaculate beaches and small crowds. It is also known for its parks system which includes Woofing Waters Water Park. The dog park is located within Quiet Waters Park, 401 South Powerline Road, Deerfield Beach. 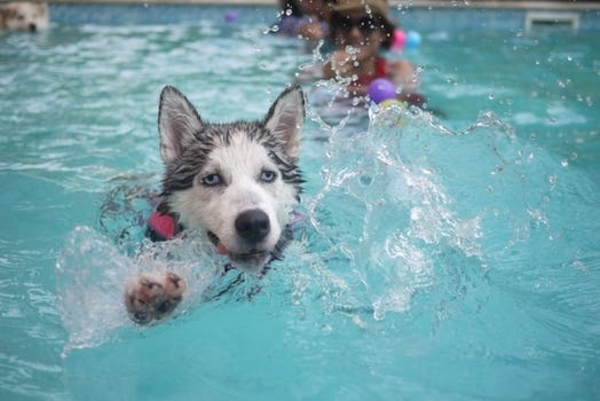 Woofing Waters is an active canines dream come true. Situated at the northwest corner of Quiet Waters Park it consists of two fun filled-acres.